A wonderful morning, started with hotel breakfast, my beloved bacons, scramble eggs and orange juice, also with Freshel and Yu Heng! Seriously, what can make you feel like you held the world in your hand than start off your day with a clean and fresh face! At least I feel more confident when I'm out with a fresh clean face early in the morning, and that's exactly what Freshel trying to deliver to their users! Super happy to be one of the blogger to join the sharing session of Yu Heng about Freshel and get to know more about the brand. The session started after we stuffed our tummy with lotsa yummylicious food from the hotel. Look at all the Freshel products! I want!!! Briefly updated with all the ranges that Freshel currently offer to Malaysia market, and good news is, there are more to come this year! Simple and fresh is what Freshel trying to convey their message to all their users, just like their packaging and ranges, nothing fancy, totally basic and suits everybody's needs! Cleanser, all types of cleansers! I'm currently using Freshel Clear Soap which contains Moroccan Ghassoul Clay, that can be used as face wash and pack (mask, what we normally called it) and it is so good! My skin feels clean, smooth and yet moisturized, no feeling of tense skin! I like it so much! Plus it is fragrance free and no artificial coloring, even great! There are 5 types of cleanser: cream, soap, oil, foam and lotion. Cleansing lotion? What is cleansing lotion you may ask. 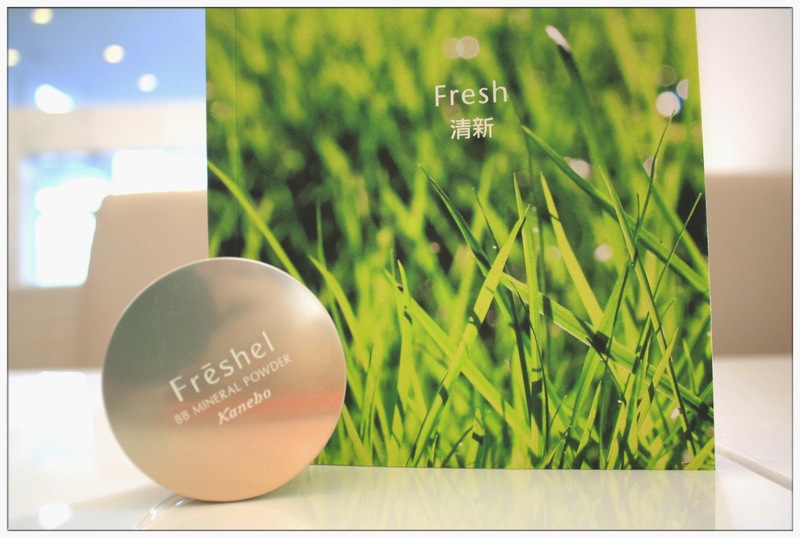 It is a new concept product by Freshel which a single item that acts as makeup remover + face wash + pore cleanser. Easily wipe off and no need double cleansing a.k.a cleansing and rinsing. Sounds perfect for party goers, or lazy people like me who sometimes just wanna get to bed asap. Contains collagen and hyaluronic acid, remove and wash your face at the same time, keeping skin's hydration! 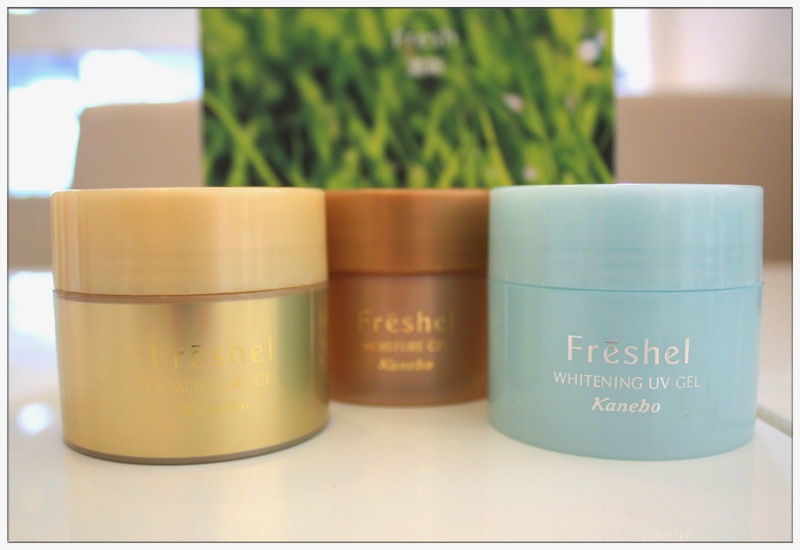 As I mentioned earlier, there are a few ranges of skincare Freshel offers to their users. Simple and time-saving is what they deliver to their users and always, simple is the best! Moist and translucent, contains whitening, moisturizing and keratin-softening ingredients to allow fast and deep penetration of active whitening ingredients to control melanin production and prevent dark spot by repairing the damage from UV ray exposure. Perfect for girls who like their to keep her skin fair! Penetrating and moisturizing range that leaves skin feeling moist, smooth and elastic. All thanks to its moisturizing ingredients - double collagen and hyaluronic acid, which effectively moisturizes skin as we all know the effect. Fruit acid mixture and prunus domestica fruit extract are added into the moisturizing range for light texture series and moist texture series. This photo's shown the light texture series one, where the moist texture series bottle are labeled as Moist. 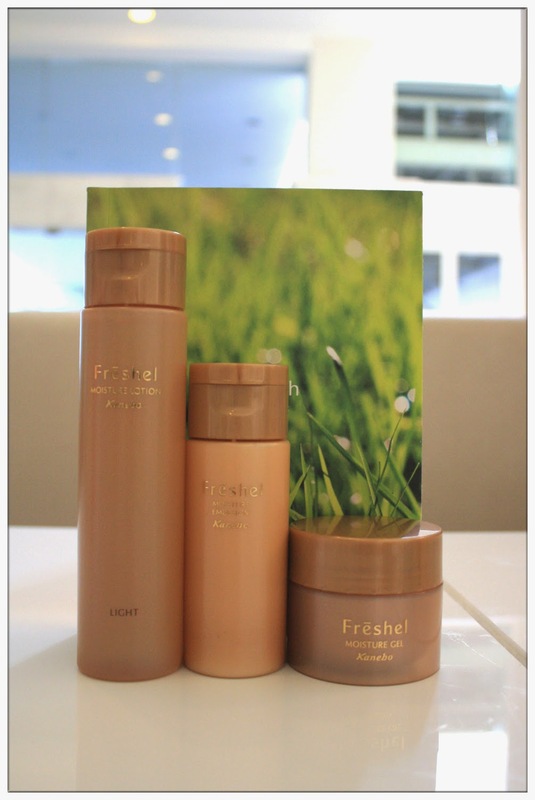 Some may ask, what's EX Moisture range, and some may also wonder, does Freshel have anti-ageing range. This is it, EX Moisture range, which means intensive moisturizing care with extra thick and moisturizing formula. With its anti-ageing formula, skin remains moist, firm, smooth and lustrous. Contains the natural antioxidant coenzyme Q-10 and moisturizing ingredients double collagen and hyaluronic acid to ensure and effective anti-ageing care. Prunus domestica fruit extract further softens skin's keratin to aid with absorption, maximizing a deep moisturizing effect without leaving skin feeling sticky and burden-free! Universal concern for women around the world is skin ageing problems. The Lift Moisture Cream is designed for those with dry skin, sagging cheeks and around the mouth area, noticeable wrinkles that are caused by dryness and also skin with less firmness. The cream effectively treats problems with its Royal Jelly extract, collagen and hyaluronic acid, creates firm, supple and radiant skin. Lift Moisture Eye Essence for the door of our soul. With Royal Jelly extract, collagen and hyaluronic acid, it treats skin problems around area that are caused by dryness and ageing by leaving the skin moist and bright after application. 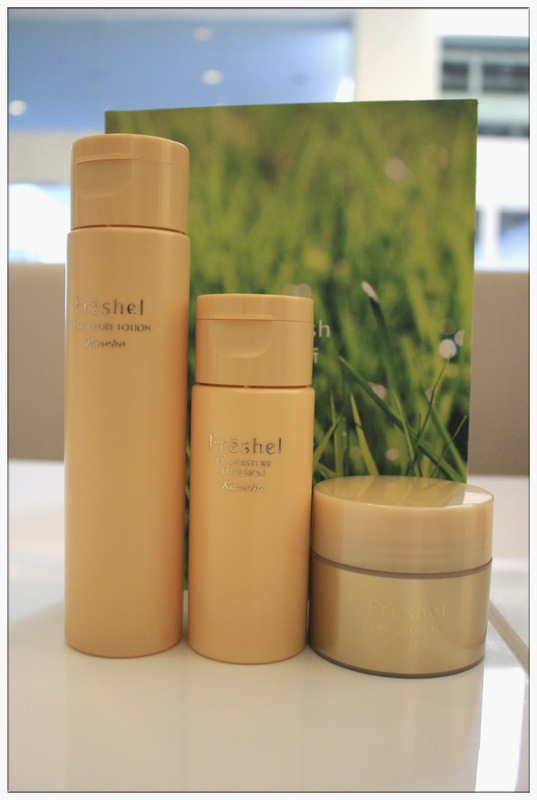 This is one quick and easy skincare product from Freshel I would like to have! In just one step/one application, there are 5 effects in it - Lotion, Essence, Emulsion, Cream and UV-reducing Makeup Base effect! Effects of the gel can be absorb fast into the skin all thanks to keratin-softening effect, which down when it touches and penetrates into the skin without causing any stickiness. Thick and penetrating formula allows whitening ingredients to quickly absorb by skin, plant-derived ingredient is easily absorbed by the skin and forms a veil on the surface of the skin to keep moisture within and last but not least, while the gel forms a moist UV protection veil on your skin, it moisturizes and smoothens skin surface to allow foundation to tightly cling to skin, which make it a perfect makeup base! There's no other companies have developed such gels with UV protection in it. Kudos to Freshel! 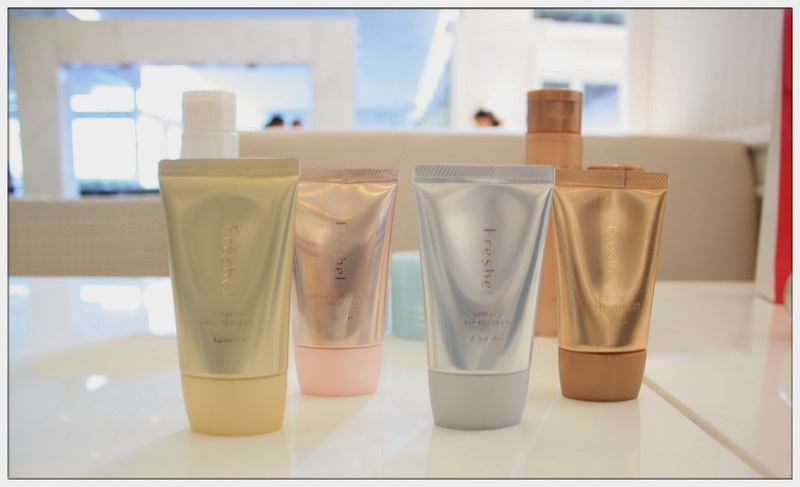 4 types of mineral BB Cream from Freshel caters for four different range: Pore Cover, UV/Whitening, Moist and EX Moist. Each BB Cream has its different function, gentle on skin, serves as an essence, emulsion, cream, sunscreen and tinted makeup base. BB Cream color comes in 2 tones, which is Natural Beige and Medium Beige. They are not sticky, at the same time corrects your skin problem as you apply it. Pore Cover: Contains oil controlling ingredients, with collagen hyaluronic acid, witch hazel extract for moisturizing ingredents, apricot kernel oil which forms a veil on your skin which reduced visible pores, skin protecting minerals, and kept the skin smooth for a long lasting hours. UV/Whitening: Contains spot visibility reducing ingredients - white color beads, this BB cream with its smooth and non-sticky texture reduces the visibility of spots, protects skin from UV rays and clings on to skin for long hours. With SPF 41 PA++, it also contains ingredients like collagen, hyaluronic acid, kiwi extract for moisturizing effect, prunus domestica fruit extract as keratin softener and veil forming ingredients are made from Macadamia nut oil derivatives. Moist: A moisturizing mineral BB cream that spread wells and absorbed quickly by the skin to create a natural and beautiful finish. Contains double collagen, hyaluronic acid, prunus domestica fruite extract, Macadamia nut oil derivatives and Jojoba oil, last but not least, pore and dullness visibility reducing ingredient - Orange color beads. EX Moist BB cream with firm and rich texture which reliably covers visible skin problems. An extra thick and moisturizing mineral BB cream that makes skin firm, lustrous and more younger looking. It contains Coenzyme Q-10, Alpha Lipoic Acid, double collagen and hyaluronic acid which supply to skin's moisturization, and there's Macadamia nut oil derivatives, Jojoba oil and Shea butter for veil forming ingredients. Gold color beads is the ingredients that make skin firm and lustrous. High coverage and moisturization, all in one bottle of BB cream! Last but not least, the last product from Freshel I would like to intro is the BB Mineral powder which is gentle on the skin and can be used not only as a BB cream finisher but also as light makeup powder after your daily skincare routine. Contains Collagen, Hyaluronic acid, white, orange and gold color beads, that can be used together with the UV, Moist and EX BB cream series. Moisturizes skin at the same time offers coverage to skin with natural and clear finish. This is gonna be my target after my current powder runs out! I know who you've been waiting for, after a long introduction of Freshel's wonderful products, here is the Malaysian ambassador for Freshel that meet-and-greeted us that morning with a fresh clean face - Yu Heng! She's so cute and petite! Her image pure and fresh image is one of the main reason Freshel ask her to become their ambassador. She literally brings out the image of Freshel, simple, clean and nice! We're tad bit nervous after she arrives, and don't know what to do or what questions to ask her, just keep on snap photos only hahaha. Yu Heng shared with us bloggers bout her skin's concern, she's just like any other girl, with oily T-Zone, sometimes when the weather is too hot she gets pimples, but after she uses Freshel, she can feel that her skin improves alot. Especially for an artist like her who needs to travel alot, skin care routine is one essential work but also requires a lot of time, but with Freshel's simple and quick skincare formula, she can get everything done in just a quick few steps! 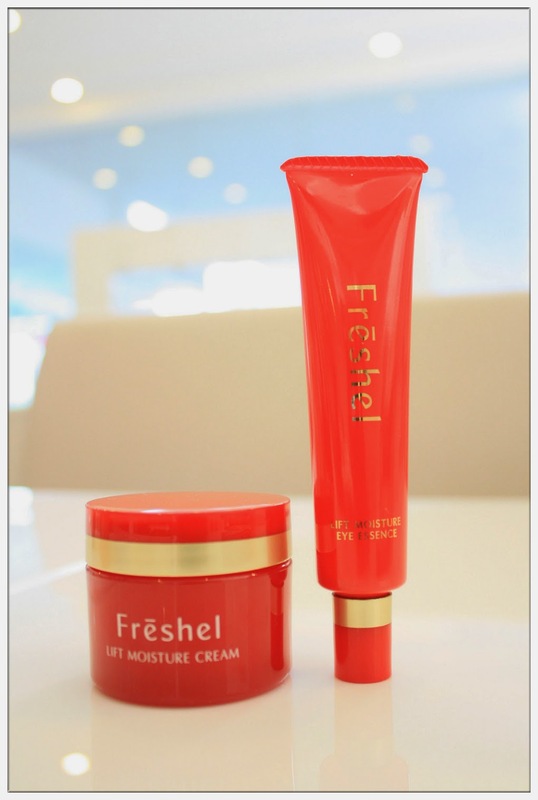 Her favourite item from Freshel is the multifunctional all-in-one cream. Just by one application, one simple step, she's done with all the steps: lotion, essence, emulsion, cream and also uv-reducing makeup base! She love it! It's so convenient for her to complete her skincare routine in just one step, and amazingly improved her skin's condition! We get to see her youthful looking skin that day, and it's so good I feel like wanna pinch her. lol. Like what happened, we were stunned and not knowing what to do next, so we suggested what bloggers do best - taking photos! Selfies, group photos, photo with Yu Heng, we take turns and in the end, we requested for autograph. I have a Freshel skincare routine booklet with Yu Heng's autograph on it! Hell yeah!!! Thank you for signing each and every booklet for all of us! Such a wonderful time spent with Yu Heng and Freshel. Anticipating for her next single to come out in April/May, hopefully an album this year! Gambatte Yu Heng, we're waiting for you at Malaysia with your new songs. 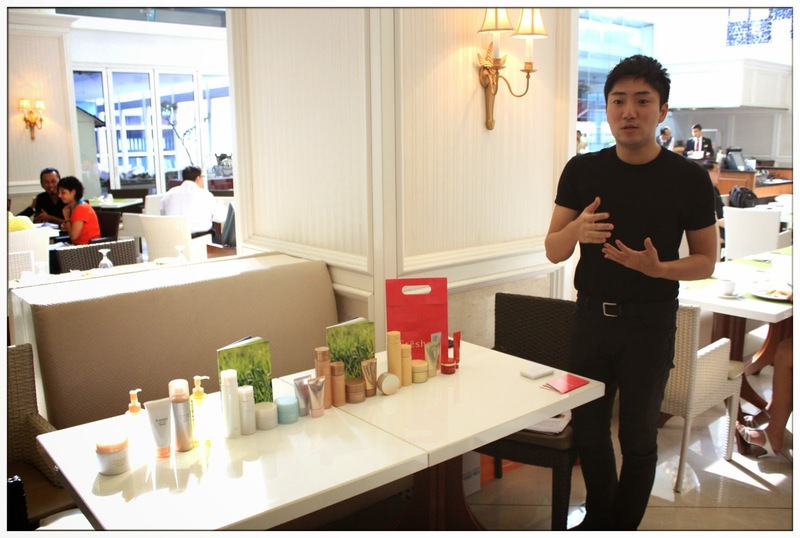 Of course, Freshel's gonna bring in more skincare series for the acne and sensitive skin users, yay for that! And also, the hype of the moment - CC Cream is available in Malaysia market this year too! Stay tune! 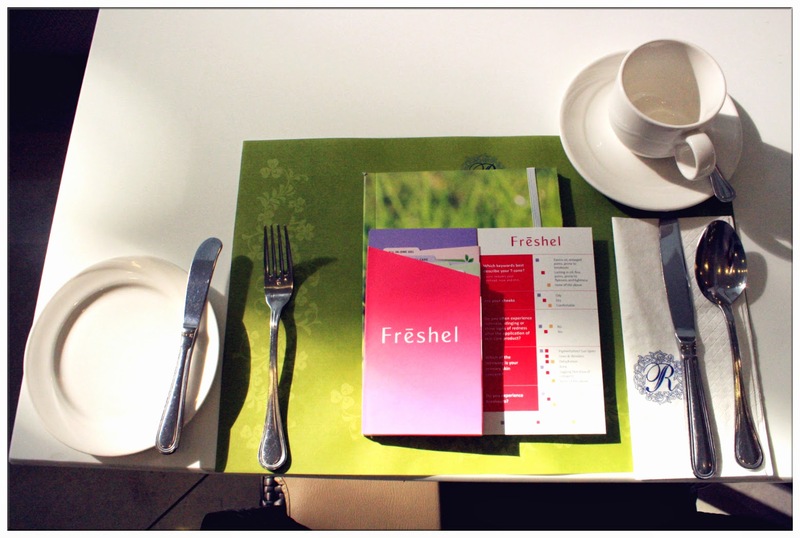 For more informations of Freshel products, do visit your nearest convenience stores like Watsons, SaSa and Parksons to find out more! we are selling Ghassoul Clay in Malaysia and other organic natural cosmetics. Thanks for sharing it, such a pretty nice cosmetics. keep making products that have good standard.